Strong polypropylene PP plastic beaker. Autoclavable. Molded graduations. All measurements are approximate. 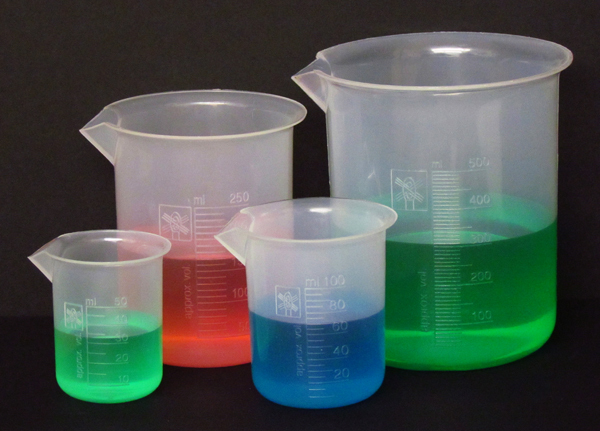 Picture is representation of the different Beaker sizes available. For product specifications please refer to the product description.